There’s been a lot of recent updates going on in December 2017, with link spam corrections and bizarre celebrity errors. Today I discovered that Google is now displaying user reviews within a local map pack, if the review happens to have a certain keyword. 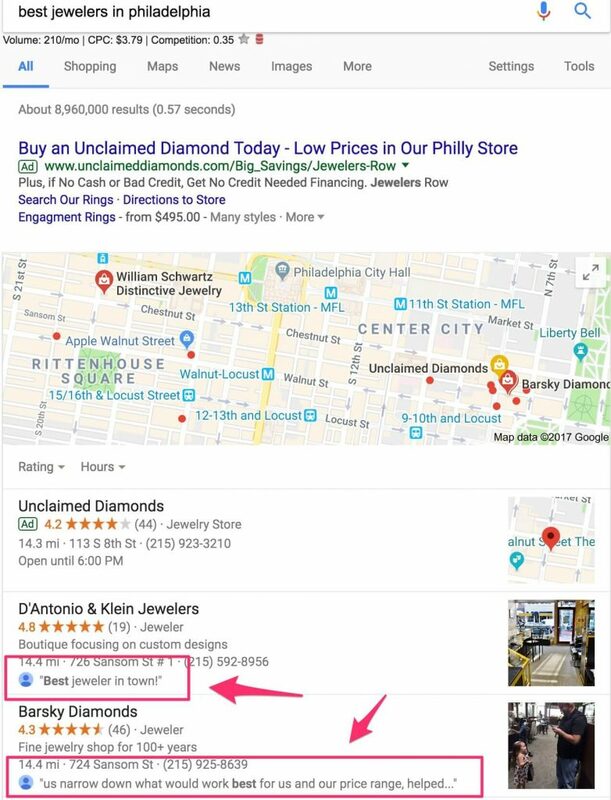 I was randomly browsing some searches in the Philadelphia area, some using “searches related to” which appear at the bottom of SERPs, and discovered this new feature. Perhaps it is not that new, but I have never seen it before, at least not in this city. If you select “more places” you will notice that the continued list of local businesses also has keywords highlighted in their reviews. 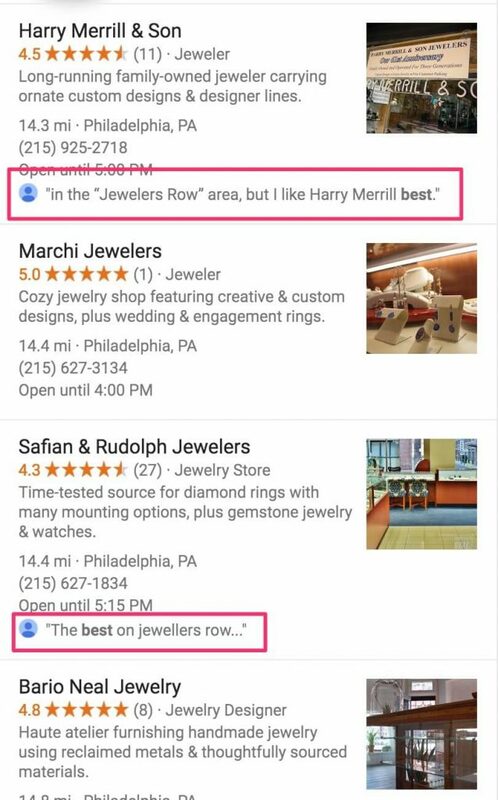 I don’t know about you, but this seems like an opening for a spam-a-thon with people stuffing all sorts of keywords into fake or even genuine reviews. Do you see any other examples of this? If so give me a shout.